I am a believer in shoes with personality. 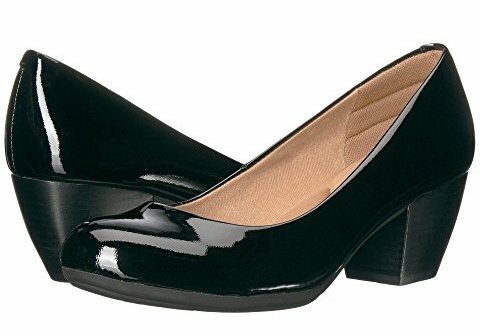 After years in the corporate world, wearing mid-height black pumps, I adore shoes that have flair. And, as age is making all the parts ache more, I insist on super-comfortable shoes. It’s so gratifying that comfortable shoes are, like us baby boomers, making a big impression. Go with a lush print. Naturalizer is not an old-lady brand. 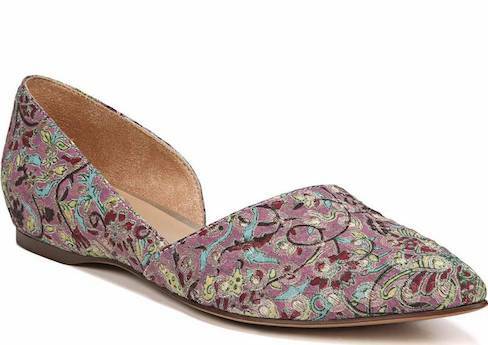 They’ve got some fresh looks, like these floral brocade flats that will add joy to your Spring/Summer looks. Great arch support too; that’s so important with flats. Choose an unexpected color, and wear it with everything. I love it that shoes have become more colorful in recent years. 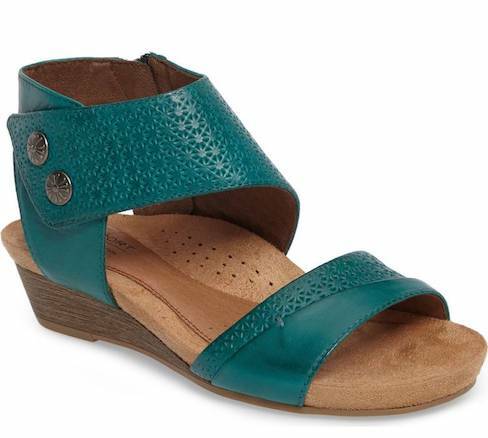 If you don’t have to dress too formally, these low-wedge strap sandals are perfect for work. They have an “anatomically molded footbed”, which sounds a little frightening, but it’s super comfortable. The classics, re-imagined with comfort. If you need to/like to wear the timeless black heel, there are modern and comfortable options. Loving the stacked heel and mini platform on this Comfortiva pair. And for feeling good all day: a memory foam footbed with mesh-lined cover. 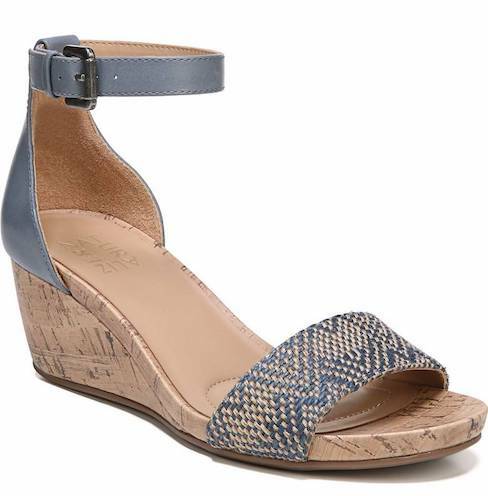 A wedge sandal in a subtle print is a great neutral. You can get height without pain with these ankle-wrap 2.75″ wedges. The insole has deep cushioning. Lots of color choices too. Back to basics, but in living color. I love sneakers! When I’m not posing for anything, I wear them almost daily. These low-profile slip-ons have a removable footbed with flexible arch support. They come in a dozen colors, including this sassy red. Header link here. Please be aware that links to vendors may be affiliate links. I do benefit from your purchases through the links on the blog. Previous Article← Five Favorite Style Moments: What Are Yours? I ordered the Rockport Cobb hill Hollywood sandals after seeing them on your site. They are comfortable, colorful and stylish. Thanks for a great recommendation. Shoe shopping is my least favorite thing to do but you made my sandal choice easy. I find a lot of the brands you listed don’t work well if you have bunions, so I end up wearing sneakers a lot in the spring and fall (in fact, I’m wearing a fancy pair of Nike’s today). It’s a good thing I don’t have to dress formally for work. Great post Patti! Se really do have a nice variety of healthy choices! The piwer of Baby Boomers in the marketplace remains strong. Patti, I love these choices for comfortable but stylish shoes. I totally agree. I always choose my foot wear with comfort in mind. I especially love the Samantha shoes. My favorites” the woof, woofs. 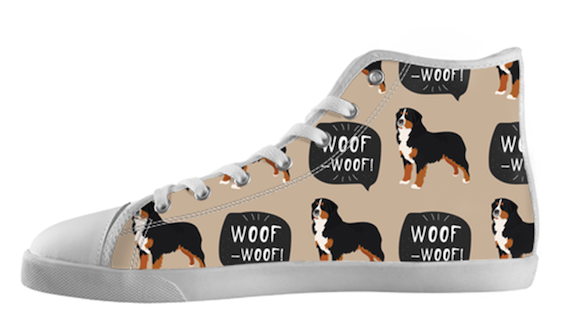 I wonder if they make them with other dog breeds-that I need to research…as far as comfort, I have a pair of Pikolinos that I’ve worn for a dozen years that feel like I’m walking on a cloud. I totally love the idea of wearing a colorful shoe with everything! Dansko, Keen, also offer comfortable, stylish shoes ( especially if you’re still working and tromping around all day!) I can’t wear open toed shoes to work and need non slip. For a long time choices were nil or less than stylish so happy there are really cool looking yet comfortable shoes now. Just bought a pair of NineWest 40th anniversary pumps ( Kendra)..very retro but very comfortable in bright red!! No need for the traditional on this lady’s size 9’s!! Oops, wrong breed. (I have a border collie/lab mix, so I tend to have border collies on the brain!) These shoes are so cute! And they have a border collie print, too — though unfortunately not in my size… Have bookmarked the site for later perusal. Thanks so much for this link, Patti! Personally, I am in love with Ecco sneakers. 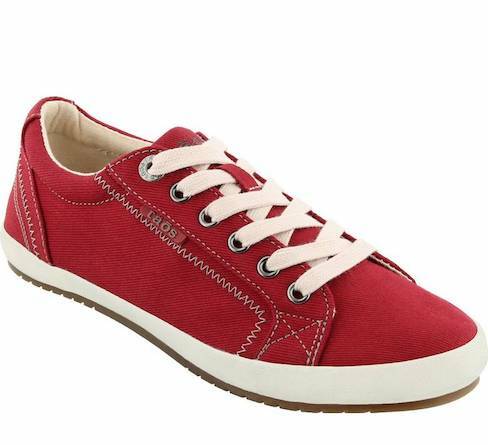 I also like and wear aerosoles and Merrell in addition to many of the brands you listed.